Behaviors such as snubbing, exclusion, spreading lies about someone, and other relational aggression are more common among girls. Dr. Nicki Crick of the University of Minnesota has led ground-breaking, broad research on the behavior, establishing it as a form of aggression as common as physical aggression among boys. The National Center for School Engagement conducted a series of studies to explore the connections between bullying in schools, school attendance and engagement, and academic achievement. This bulletin provides an overview of the Office of Juvenile Justice and Delinquency Protection-funded studies, a summary of the researchers’ findings, and recommendations for policy and practice. Childhood Aggression: Where Does it Come From? How Can it be Managed? Children aren’t born aggressive, they learn it. However, children, parents, and caregivers can also learn how to cope with aggression. This resource answers questions about aggression and how to teach coping skills to children. This fact sheet explains why children are bullies and how parents can help prevent their children from becoming bullies. 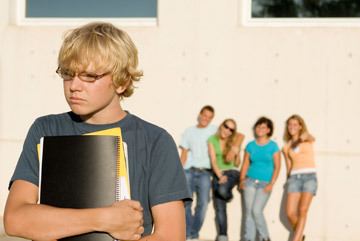 It also provides ways to deal with a bully as well as ways to detect whether a child is being bullied. This 12-page publication offers advice to educators on what they can do about bullying. It includes sections on different forms of bullying, strategies for teachers and schools, references, classroom activities, and children’s books related to bullying. This eight-page publication offers advice to parents on what they can do about bullying. It includes sections on addressing bullying, strategies for parents, references, other resources, and children’s books related to bullying.